The Downtowners welcomes any and all newcomers. There are no membership dues. Just come when you can and pay as you go! 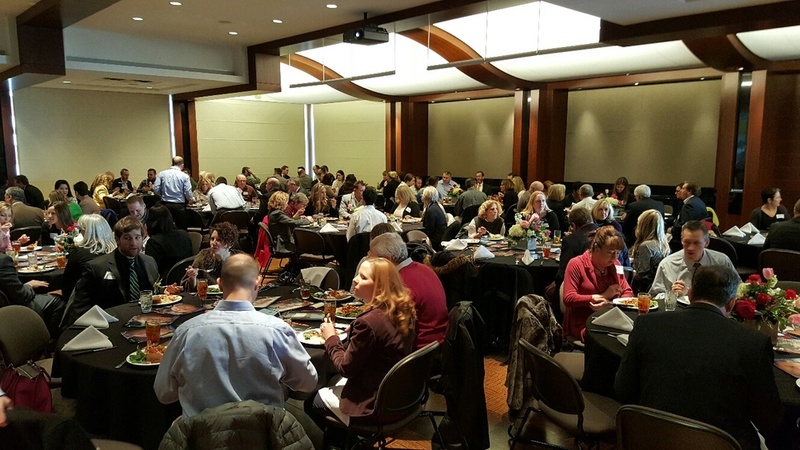 Our monthly luncheons typically occur on the second Wednesday of each month at the Kansas City Downtown Library. Occasionally we go on field trips to such locations as Liberty Memorial, Union Station and The Gem Theater. Monthly luncheon programs start at noon with social and networking opportunities beginning at 11:30. To reserve a lunch, you must prepay $25 by accessing the event via our UPCOMING EVENTS tab. We can accommodate a few walk-ups, but please register ahead if possible as many of our events will sell out. The walk-up price is $25 cash / check only on a first-come, first-served basis. A few times per year, we also host after-hours Social Events you won't want to miss! Be sure to sign up for our email list and follow us through your favorite Social Media outlets. Social Half-Hour before the program.